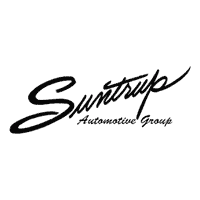 If you’re searching for pre-owned cars near St. Louis, then take advantage of the extensive inventory available at Suntrup Automotive Group. Our large inventory offers makes ranging from BMW and Nissan, to Chevrolet and Mazda. We want you to get a great used car deal, so we offer plenty of used vehicle exclusive offers as well as vehicles under $10k to further sweeten the deal. Explore our inventory online before visiting us for a test drive! Classic Silver Metallic 2015 Toyota 4Runner Limited 4WD 5-Speed Automatic with Overdrive 4.0L V6 SMPI DOHC Odometer is 12985 miles below market average! Awards: * 2015 KBB.com Best Resale Value Awards Whether you are interested in learning more about our team or are ready to begin shopping with us, we invite you to visit our showroom today. Conveniently located on Manchester Road just west of Hwy 141 in Manchester, MO, our team looks forward to helping you experience new levels of affordable luxury. *See dealer for details. **Note: All sale prices and discounts listed above, include all available factory incentives, discounts and rebates. Special rates must finance through BMW Financial. These are subject to change at any time. Save over new Original MSRP $70,425! Schedule a test drive today!, BOSE Sound w/6 Speaker System, Driver Alert Package, Duramax Plus Package, Engine Block Heater, Exterior Parking Camera Rear, Forward Collision Alert, Heated & Vented Front Seating, Heated Leather Wrapped Steering Wheel, LTZ Plus Package, Midnight Edition, Navigation System, Off-Road Z71 Package, Power Sunroof, Power-Adjustable Pedals, Ultrasonic Front & Rear Park Assist, Wireless Charging. Black 2018 Chevrolet Silverado 2500HD LTZ 4WD Allison 1000 6-Speed Automatic Duramax 6.6L V8 Turbodiesel Odometer is 2192 miles below market average! Whether you are interested in learning more about our team or are ready to begin shopping with us, we invite you to visit our showroom today. Conveniently located on Manchester Road just west of Hwy 141 in Manchester, MO, our team looks forward to helping you experience new levels of affordable luxury. *See dealer for details. **Note: All sale prices and discounts listed above, include all available factory incentives, discounts and rebates. Special rates must finance through BMW Financial. These are subject to change at any time. Original MSRP $108,325! Best value within 250 miles! Schedule a test drive today!, 20 x 9 Fr/20 x 10 Rr M Light Alloy Wheels, Active Blind Spot Detection, Active Front Seats, Bang & Olufsen Sound System, Comfort Access Keyless Entry, Driver Assistance Package, Executive Package, Front Ventilated Seats, Head-Up Display, Heated Rear Seats, Heated Steering Wheel, Navigation System, Power moonroof, Power Rear Sunshade/Manual Rear Side Window Shades, Side & Top View Cameras, Soft-Close Automatic Doors. Singapore Gray Metallic 2013 BMW M5 RWD 7-Speed Manual Double-clutch, Drivelogic 4.4L V8 DOHC 32V TwinPower Turbo Awards: * 2013 KBB.com Brand Image Awards Reviews: * While the majority of its competition tend to lean in a particular direction when it comes to comfort, performance and practicality, the 2013 BMW 5 Series offers equal quantities of all three, even in base form. Additionally, if a third pedal is a requirement in your next luxury-sports sedan, the 5 Series is the only car in the category to offer a manual transmission. Source: KBB.com * Powerful yet refined V8; exceptional handling; responsive dual-clutch automated manualtransmission; excellent seats; available manual transmission. Source: Edmunds * Powerful engines; many standard features; cutting-edge technology; seductive style. Source: Edmunds Whether you are interested in learning more about our team or are ready to begin shopping with us, we invite you to visit our showroom today. Conveniently located on Manchester Road just west of Hwy 141 in Manchester, MO, our team looks forward to helping you experience new levels of affordable luxury. *See dealer for details. **Note: All sale prices and discounts listed above, include all available factory incentives, discounts and rebates. Special rates must finance through BMW Financial. These are subject to change at any time. New Price! This car qualifies for all new car rebates and incentives!, TIBBFX, Original MSRP $83,820!, M Performance Exhaust System, Automatic High Beams, Executive Package, harman/kardon Surround Sound System, Head-Up Display, Heated Steering Wheel, Icon Adaptive Full LED Headlights, Navigation System, Parking Assistant, Side & Top View Cameras, Speed Limit Info. Alpine White 2018 BMW M4 RWD 6-Speed Manual 3.0L 6-Cylinder Turbocharged DOHC Whether you are interested in learning more about our team or are ready to begin shopping with us, we invite you to visit our showroom today. Conveniently located on Manchester Road just west of Hwy 141 in Manchester, MO, our team looks forward to helping you experience new levels of affordable luxury. *See dealer for details. **Note: All sale prices and discounts listed above, include all available factory incentives, discounts and rebates. Special rates must finance through BMW Financial. These are subject to change at any time. Priced below KBB Fair Purchase Price! ACTIVE SERVICE LOANER, PLEASE CALL FOR APPOINTMENT, This was a new car that was enrolled in our Service Loaner Fleet!, This car qualifies for all new car rebates and incentives!, Original MSRP $46,335.00, Active Blind Spot Detection, Driving Assistance Package, Exterior Parking Camera Rear. White Metallic 2019 BMW X3 xDrive30i AWD 8-Speed Automatic 2.0L I4 TwinPower Turbo Odometer is 2754 miles below market average! 22/29 City/Highway MPG Whether you are interested in learning more about our team or are ready to begin shopping with us, we invite you to visit our showroom today. Conveniently located on Manchester Road just west of Hwy 141 in Manchester, MO, our team looks forward to helping you experience new levels of affordable luxury. *See dealer for details. **Note: All sale prices and discounts listed above, include all available factory incentives, discounts and rebates. Special rates must finance through BMW Financial. These are subject to change at any time. This 2017 Ford F-150 XLT Sport is a great option for folks looking for top features like a backup sensor, remote starter, backup camera, a navigation system, heated seats, traction control, Sirius satellite radio, and side air bag system. It has a 8 Cylinder engine. This one's a deal at $35,642. With an unbeatable 5-star crash test rating, this supercrew 4x4 puts safety first. With a charming silver exterior and a black interior, this vehicle is a top pick. This is the vehicle for you! Give us a call today and don't let it slip away! Call our Customer Care Team at (888) 429-4309 and schedule your test drive today. Prices include $500 down cash deposit. Thank you for your interest and your time. Ready to drive home to St. Peters or St. Louis in your pre-owned Mercedes-Benz or Ford? Our team will walk you through every step of the used car-buying process – we’ll even be there for you after you leave the lot! Rely on one of our several service departments to maintain your used car, and feel free to contact us in the meantime with any questions about our inventory of used models, used car leasing information, used vs. certified pre-owned, and more. You can also explore our used car buying checklist, and see how buying used stacks up against buying new. We’re certain you’ll find the affordable vehicle you’re searching for in our huge inventory of high quality pre-owned cars near St. Louis.